A knights tale. This was a very complicated situation! The latest testimony. This was a very complicated situation of one of Talal’s recent clients. He and his family had black magic and some very strong spirits of knights who were buried on his property with their treasures. The two don’t mix together very well and this poor man lived through a nightmare. It is so nice to see him having a normal life again. All I can say is you have to be a very strong person to overcome something like this. Read is incredible and interesting testimony. You can read more testimonies of Talal’s clients here. My story is very long. I will try to be short. In the beginning of Summer 2013, strange things started to occure In and around my house and garden. I noticed marks and scratches all around and on almost ALL our belongings. I could, after a few weeks come to the conclusion, that our house had for years, been prepaird for a MASSIVE Black Magic/ Voodoo Attack, planned by a close relative to my wife. I never opened my self to this person, because i could from the first time I met him, feel that it was something weird about him. For many years this mans Hate against me was growing, and I could actually feel it everytime we met. Jalousy, envy and hate. I was confused. I did forbid he to set his fot again on my property every again. THEN it went Crazy at home. Shadows running in the corner Of my eyes, things disappering, things breaking for no reason, knocking on walls at nights, my name called from the forrest around our house, loud BANG! from the forrest-ALWAYS 3 times in a row ( that is to dishonour GOD ). Whisteling sounds from outside,strange pictures taken with my Iphone and whispering soundrecordings ( not made by me ) As a matter of fact, I have been living in the worst Horrormovie ever. At last my other familymembers also started to see and hear things, Lucky for me, beacuse they were surely starting to think i was going crazy. Talal had a chance to look into your situation last night. You are correct. There are two different things that you are dealing with to make all of these things happen and appear. 1. The black magic that was done to the three of you effects you many different ways, but was directed to affect you in your happiness of life and to struggle. Even food doesn’t taste the same to all of you. This has been done to you in the last 8 – 10 years. 2. 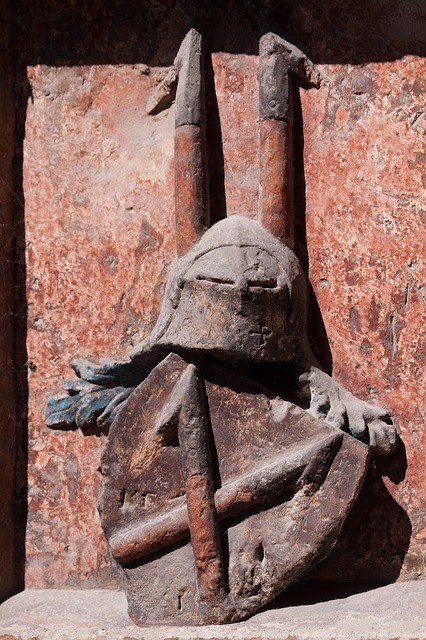 There are a few ancient very respected knights graves underground on your property. These knights were buried with their valuable belongings. So the 2 of these together create your experience in to one big experience leaving you all to feel the effects from both. And this was later confirmed by me, about the knights. Beacuse I did find, in our garden, long threads of silver in the ground. This was 4 Month before I wrote to Talal. This was common among Royalty and Knights in Scandinavia, to mix fiberthreads and silverthreads in their clothes. Now it’s almost the end of February. And FINALLY, Talal has Won this battle against the PURE EVIL, that was constanlly around us 24/7. No matter how low i felt,or how angry I was. Talal and Kristen comforted me and showed the deapest sympathy for me and my family. At one time I was just seconds away from putting my self in prison for the rest of my life. I thought, if nothing can stop this… I will End the life of the man doing this to Me and my Family. Talal and Kristen helped me to understand that this is NOT the way to handle Evil. One can NOT win against Evil by doing Evil. I have told You before, but I can tell you Again: I have no words to describe HOW thankfull I am Talal. And to you also Kristen. I have to say both Talal and myself have been blessed to have been able to work with so many great people. All of Talal’s clients that I have had the pleasure to communicate with are just great people. After 22 years of Talal’s clients only being recommended to him from word of mouth from his happy clients, we have finally got www.talalzoabi.com up online in the last year. My job being to communicate with Talal’s clients from the website has been very rewarding. It is the best feeling to see people overcoming huge obstacles or barriers. Although I am not the one with this special gift it feels amazing to take a part in this healing process of so many peoples lives. The testimony section of Talal’s website is very new and unit just a few months ago we did not have clients write testimonies. But I am so happy we are now. Every time we get a new testimony I feel like I have been part of a miracle. I have seen Talal change thousands of people lives. I am a witness who never believed in these things before I met Talal and in the last 8 years have seen him change thousands of people lives all thanks to God for giving him this gift. Whenever people are thankful to him he takes credit for the extended hours he has to put in for each client but he says the real thank you should go to God for making the healing possible. Here are some new testimonies I would to like to share. You can read more of Talal’s new testimony section here. This poor woman from England was scammed over 5,000 pounds from a man that claims to break black magic, but actually performs black magic. She and her family had a very sad story like all of Talal’s clients. It just feels good to see her free and doing much better now. Talal and Kristen are both very genuine, they have been good mentors, i have never seen them or known them but i trusted them both straightaway. Talal broke my black magic within 2 weeks and I saw immediate results. Me and my both children are very safe and protected and feel safe, like nothing can harm us black magic spells or spirits. Talal is gifted by God and is good person. There are mostly alot of bogus scammers on the internet but Talal is not one of them. I went to a fake astrologer for help, I was with him for 6 months, he took alot of money, lied to me, put me and my children through a horrible experience and he made matters worse and I saw no results at all, it was a complete waste of my time, travelling and money. At that time i did find Talal on the internet but I thought because I’ve been with this bogus scammer he might as well help me but i just didnt understand why is it taking this guy so long to break my black magic was because he was a black magician and he does black magic so a person that performs black magic rituals etc cannot break black magic. This black magician said my black magic has broken but i received an email from kristen saying if my black magic has broken and i replied yes but Talal confirmed its 100% still there and Talal was right. Thank you very much for breaking this dark magic. Talal is very precise he knows his work he knows what hes doing he doesnt talk ridddles he doesnt waste time he gets down to his business and that is ‘breaking black magic’ and thats what hes website says and hes right … He does. Thank you i hope Gods undivided attention love and blessings are always on Talal and his family thank you. Its been a long way i have been oppressed all the time i could not find peace and sleep always with fear that things would fail in my life and i was correct since Talal Started the job i started to feel very different, more sleeping time, more peace, calm and more secure. Without any worry, i cant explain. I haven’t felt like this since i think i was born. I’m more happy in every aspect. Every pain in my mind that i think i used to think about like past hurts, i don’t feel it anymore its really strange. I haven succeed in my life yet but its only been a week. since the job i think he haven’t finished but this cannot be a placebo effect. Because I always work with positive thinking and prayer and used to work but just for little time. This is like permanent. Now i can be freely and calm without hurt. Well until now this is been my experience.